Richard III comes to modern times, STRANGE TIMES. 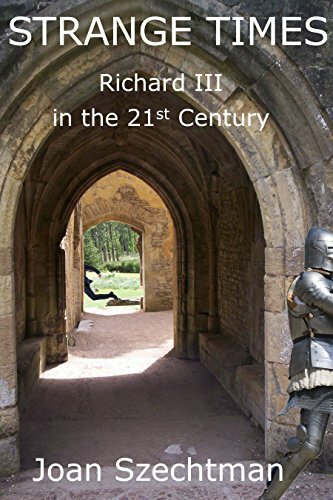 I also wrote two time travels involving Richard, one in which he comes to the 21st century. It was very amusing to see that in both our books Richard encounters a few mishaps with modern conveniences. We each wrote those books before we ever met. STRANGE TIMES just went on sale for Amazon Kindle.